Janus Thickey Ward Has your role-play been affected by numerous spells and ran its course? If so, it will be kept here for permanent care. Hi everyone second role play that I just had to do about the next generation. Rose Weasley has had everything but a normal life. Her parents and uncle are legends and people remind that of her often. At school she has over protective cousins and a brother so getting a boyfriend is hard to come by. Then there's all of her girl cousins who have so many different personalities that it's hard to remember if you should be sweet or loud. There's one person out of the whole school of Hogwarts that seems to want to make her life as miserable as possible and that person is Scorpius Malfoy. She can't remember when they ever had a civil conversation. Ready to get thrown into her life? So, I've already sorted everyone into the house I want them in and year. By the way, Rose is in her sixth year at Hogwarts and is a prefect along with Scorpius and Albus. Please remember to role play appropriately. I hope we have a fun time doing this. I also want a bio for each character. 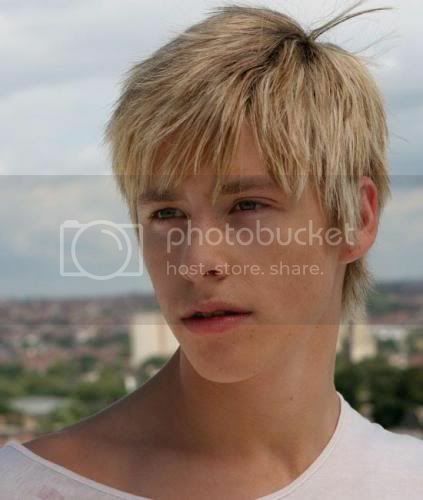 Personality- Scorpius grew up an only child and was looked down upon when he first arrived at Hogwarts. He eventually earned a title of an arrogant, bloody git by Rose Weasley. She really can't stand him and he likes to drive her nuts. He's second in his class behind Rose. He's a prefect, quidditch captain along with keeper, and hopes to become Head Boy next year. No Potter is going to stand in his way. He's a ladies man. Personality- Macy became best friends with Rose from the start. She's smart and gives Rose advice on how to avoid her cousins while trying to get a boyfriend. This year is going to be exciting for her. Macy has always had a teeny crush on Albus Potter. Since the day she met him in fact. She's also very good friends with Lorcan and Lysander Scamander. If Rose needs help with comebacks during her fights with Scorpius, Macy will be there. She can be loud and obnoxious and has a hard time keeping her mouth shut. To get the least bit of attention from Albus she likes flirting with other boys. Thank you and have fun roleplaying. Hey! Interesting plot! Can i be Lily Potter and Hermione Granger please? Pretty please? Info: Lily Luna Potter is a half-blood girl who is the youngest child, not to mention the only daughter, of Harry James Potter and Ginevra Molly Potter. She has two older brothers, James Sirius Potter and Albus Severus Potter, who she is jealous of since they go to go to Hogwarts before her. She is the same age as Hugo Weasley, her cousin. Lily is quiet and often shy, very much like Albus. She can be seen as taking after her mother a lot. Lily has red hair, just like her mother. She has brown eyes, also like her mother. Info: Hermione Jean Weasley is a Muggle born woman who is married to Ronald Bilius Weasley and has 2 children: Hugo Weasley and Rose Weasley. She is a very clever woman who always came top of the class when she was in Hogwarts. She is very hardworking and loyal towards her friends and those who are dear to her. She has started organisations to show how much she cares for other magical beings and things she is very passionate about. She likes reading and doesn't like failing at all. She often likes to play safe and not break the rules but occassionaly she has to do what she feels is right for the greater good. She can often come across as being a bossy know-it-all. Hermione has bushy brown hair and chocolate brown eyes. Last edited by hermionesclone; 10-27-2009 at 10:16 PM. Yeah totally. I'll be waiting for your bio. Thanks! Last edited by Ellieeenator; 10-27-2009 at 12:22 AM. Can I be Draco and Lysander? Of course! The more the merrier (and faster let's not forget.) I'll be waiting patiently for their bios. Thanks again! molly weasley!!!!!!!!!!! holy crap!!!!! i'm super excited!!! oh and ginny?!?! Personality: Molly is the oldest daughter of Percy and Aubrey Weasley, has a younger sister named Lucy who also goes to Hogwarts and was named after her grandmother. This is Molly's last year at Hogwarts and she doesn't want to miss out on anything. She sticks to the rules ofcourse, but wants to have a little fun. Personality: Daughter of Arthur and Molly Weasley, sister of Charlie, Bill, Percy, Fred (deceased), George and Ron Weasley. Ginny fell in love with Harry Potter the first day she saw him almost 30 years ago. It took her many years but she finally got her wish and was finally Mrs. Ginny Potter. Last edited by Seeker47550; 10-27-2009 at 01:52 AM. You got them! Welcome aboard. Bios I will wait for. Thank you so much! 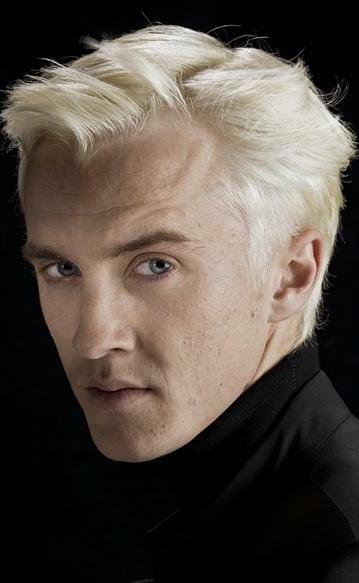 Personality: Draco Malfoy is arrogant, snide, and quite proud of his oureblood lineage. While he believes that those with lesser blood status than him are naturally worse, he has been changed by the outcome of the Second Wizarding War, and is more subtle with his opinions and more accepting. He is terribly proud of his son, Scorpius, and, while he isn't a doting father, will always be there for him. After all, Malfoys always stick together. Anything Else: He looks so old in that picture... Sob. Personality: Lysander is much like his mother. He is kind and considerate, and quite open-minded, as well as fiercely loyal. However, he has a stronger temper than hers, and is less trusting. Ever the genius, Lysander is the top of his year. Anything Else: Lysander is the Keeper for the Ravenclaw Quidditch team. Also, both he and his brother, being twins, are born on the anniversary of the end of the Second Wizarding War. can i be ron weasley and james potter? thanks...here are the bios for Ron Weasley and James Potter. 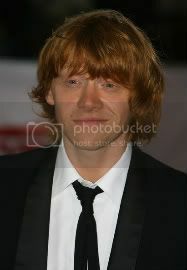 Pesronality:Red hair,tall,lean and was a qudditch player during his time at Hogwarts.He is great friends with the famous Harry Potter.Even after second wizarding war he was slightly predjudiced about few people like Malfoys.so he had always warned his daughter Rose Weasley about Draco's son Scorpious who was quite like Draco and was in Rose's year.he was really worried about his daughter but his dear wife Hermione always tells him that he worries too much about Rose and should chill a bit.but should he actually stop worrying about his teenage daughter Rose? Last edited by harita; 10-31-2009 at 06:17 PM. May I take on Roxanne Weasley? C= I'll of course post a bio asap! Oh and also Victoire Weasley? She's not on the list but she's the eldest of Bill and Fluer... Is that alright? Last edited by Austin; 10-27-2009 at 04:20 AM. Can I be Rose or Lucy Weasley? Ill post bio soon. Last edited by thatguyfromyourmathclass; 10-27-2009 at 04:29 AM. Can I be Lorcan and James? A Good Girl No More. Don't Judge Me Unless You Know Me Or Face The Consequences. But I Can't Promise That I Won't Judge You. Because I Am Who I Am. I was hoping to be Rose Weasley, but if not Albus Severus Potter would be fine if Nymphadora really wants her. Just let me know. I was wondering if I could snag Hugo Weasley and Ronald Weasley. I will post a bio soon. Mistress of Chaos- You can be Lorcan, James was already taken, sorry. Solar Eclipse- You can be Hugo, someone else snagged Ronald before you. You could be Harry if you wanted. Oh and thanks Seeker47550 for your bios as well! I'll be waiting for your bios everyone! Personality: Stormi is quite shy but was placed in Gryffindor. She has a cute wittle smile and a petite figure. 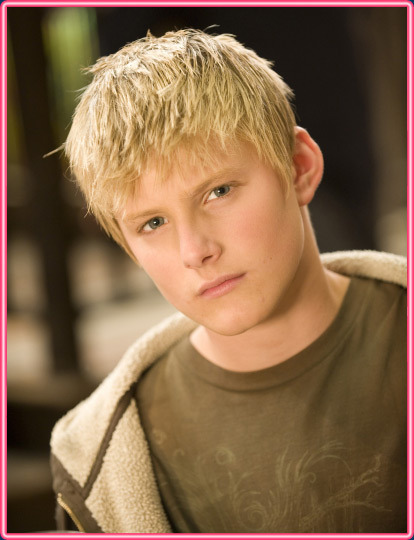 Personality- Lorcan, along with his brother, are troublemakers, even though he is in Hufflepuff. He has many crushes on him and his considered cute. With his cute little charming smile, he wins many girls over, but does not like that; he wants one to love. It looks good. Maybe Stormi could be friends with Lucy or something. Thanks! Personality-Anna is a clumsy girl, and takes great conssideration into her school work, though shes really only good at Herbology. She enjoys quidditch, and plays as a chaser on the house team. She is a good friend of Lily(bestfriend?) she is always very bubbily and excited! always happy, and very very pretty!she has a crush on James Potter.Even though he is two years older than her, age is but a number to her. personality:defeated the dark lord,noble,modest! got a scar on his head. It looks good. THANK YOU! For putting up with my requesting. Oh Harry is 41 BTW. Last edited by Ellieeenator; 10-27-2009 at 08:49 PM. Can I be Dominique Weasley and a made up? Personality: Dominique is one of the rare teenagers that dances to the beat of her own drum and doesn’t care what others think. She is does tend to keep to herself and her small circle of friends, as she doesn’t trust others easily. She is extremely strong willed and independent and has no qualms about speaking her mind. True to Slytherin form she does tend to have a bit of a temper and sometimes lets it fly without meaning too. She is fiercely loyal to those who are her friends but betray her and suffer the consequences. History: Dominique is the child of Bill and Fleur Weasley and one of only two Weasley’s to get sorted into Slytherin, therefore she is closest to Roxanne. It does cause so issues between herself and her cousins, as she is often seen as the black sheep. However, that doesn’t mean that she doesn’t love her cousins it just makes it a little hard to relate to them sometimes. She does try and sometimes she succeeds and sometimes she doesn’t. Personality: Tristan is a pretty easy going guy. He can be pretty stubborn and obstinate when he wants to be. His temper is short and he is known to be a bit of a hot head but he really doesn't care. His reputation as the spoiled rich kid gets on his nerves, which is probably the reason for the temper. His track record with girls hasn't been so great but he is trying. Like any typical guy he has problems showing his emotions and feelings. Background: Both his parents are high ranking officials at the Irish Branch of the Ministry. His entire family has been in Slytherin and takes pride in their pureblood status. Tristan's older brother Carlisle followed the family tradition and married another pureblood which with money. Tristan can't stand the ignorant views of his family, so he became the rebel. He was still sorted in Slytherin but tries to go against everything his family is for. Last edited by Riverlynn; 10-29-2009 at 03:49 AM. Yes, you can have her and a made up. I'll be waiting for your bio! Personality: Rose is the kind of person that will stick up for her friends, or family. She grew up as being one of the many Weasleys in Hogwarts. You can never get her to shut up when you've got her started. Especially with her attitude, you can never be bored. Anything else: She is one of the Chasers for the Ravenclaw Quidditch team. Pets: She has a black calico cat whose name is Luna and a screech owl/snowy owl named Poppy, after Madam Pomfrey. Last edited by thatguyfromyourmathclass; 12-18-2009 at 11:48 PM. It looks good. It happens to the best of us, don't worry. Last edited by Ellieeenator; 10-28-2009 at 01:50 AM. Last edited by Moriarty; 11-01-2009 at 12:27 AM.